Be free to focus on your business growth. We perform our services when your clients have gone to bed! Friendly and Professional Maintenance, Security, Speed and SEO services. Stress free! Ask us anything! When billed annually or 49 month-to-month. All services are applied each and every month. Updates must be applied and business must continue. Correct? WordPress and related plugins produce security and performance related updates every month, several times in a month. If something breaks you need a quick way to bring back everything. You want more performance and more security, all the time. Different plugins, themes and hosting environments do not constantly work to your benefit, as a combination. They need monitoring, optimization and counter-proposals & solutions. You want to focus on growth and sales, but not to the “tech”. SEO consists of 60 points. You need to make sure your website meets the standards set by Google, Yahoo! and Bing. You need someone to help you with SEO. Super quick in replying and fixing the issues and went even further with more and advice. Very happy, feel much better now! A great help. He has been flexible and delivered our requirements to a T.
Very helpful with a hacked site situation. The most professional developers we had, ever. Went above and beyond to ensure we were satisfied. I can’t recommend them enough! Thanks! Very knowledgeable and eager to help. How come that you know so much? We carry more than 15 years of experience. From these 5 are with WordPress exclusively. We are developers and designers creating complex or simple WordPress projects. We know WordPress in and out, since who knows better than those who build on it? We understand a project not only from its technical aspect but from its business aspect too. Do you provide hosting services if I need such? Yes we do and our plans are affordable and of excellent quality. Prices vary depending on each project needs, but our server is optimized for WordPress. Yes you can! You change your billing preference and/or the package you prefer. Just drop us a note and we will change it for you. Please keep in mind that plans are calculated in a 30 days basis. This means that after the 1st of each month the whole amount is billable. 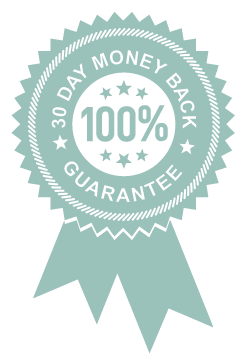 A 100% fully guaranteed refund is granted during the first 30 days of the provision of our service. After that, and after the 1st of each month you can get a refund for the remaining purchased period. Spoiler alert: Until know, none our clients has asked for a refund, since they are extremely happy with our services. What happens if some WP plugin or theme breaks my website, after an update? No worries. That is why we take a backup before applying updates. We will rollback to the “safe” working version and alert the plugin/theme developer to fix it and provide a solution. Is there a limit of updates and support I receive for my fee? Usually we do 1 complete update per month (sometime two). The reason for that is that we need to be sure that all updates the plugin and theme developers issue are compatible with your WordPress version. Are there discounts if I have more than one websites? Yes of course. We appreciate that a lot. We also work with agencies, individual designers and developers, as well as with IT companies. Send us an email and let us know what you need. Paypal. Paypal supports both Paypal accounts and/or Credit Card payments. However, we also accept bank deposits but mostly for the annual plans. In all cases if you need a specific way to pay for your service just let us know. Do I sign a contract that limits me? Not at all. You are free to quit our services any time you want. With our personal care and work, it is like earning you every month. This is what we call actual customer service. I am interested to become an affiliate/re-seller. Do you provide such? Yes we do. We need to know a little bit more for you and how you plan to promote this amazing service. Feel free to contact us. Ask anything! Maybe Monthly support is not for me. Can you suggest something else? Currently we provide this model that allows us to help each business in the most optimal way. We allocate specific resources and we closely monitor each project. This requires both preliminary work and a deeper understanding and blueprinting of each project. Of course there are case where a project is strictly a one-off case. Contact us and we will examine each case. Perhaps you are eligible for our Custom packages and you don’t it yet. Lets find it out together. A great number of clients love our support, but we put our money where our mouth is too. You will receive a great service, and if in the first 30 days we don’t exceed your expectations by providing the services you purchased, you will receive a 100% refund. Simple as that. We are eager to help you protect and enhance your business. Let’s get started. Simply purchase the service option you want or feel free to ask for more info.